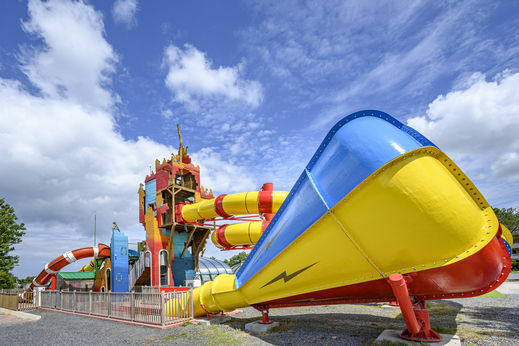 Campsite Joncal - Réserver en ligne sur capfun.com! 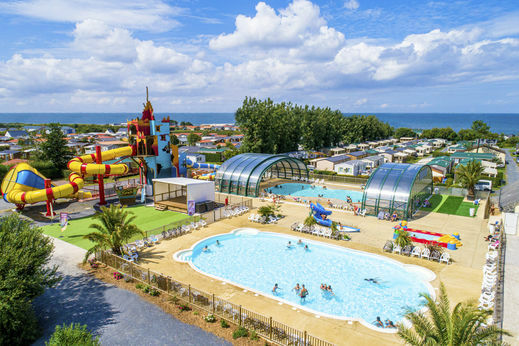 Situated in the heart of Normandy in the Calvados, the campsite Joncal offers you a holiday mixing adventure and relaxation. The region offers a lot of wonders, both in its history and in its landscapes. 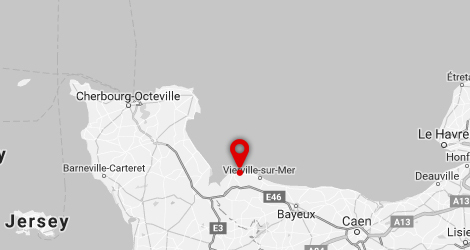 Grandcamp-Maisy is a small port of Calvados between Utah Beach and Omaha Beach. You will be able to visit the beaches and the places of memory of the landing of Normandy. Adjoining the fishing port, and 2 steps from the village center, the campsite Joncal is placed on the beach with direct access to the sea. This positioning is exceptional! Various activities and animations are available on the camping, including a playground for small children and a boules pitch. Why not organise a boules tournament on a summer afternoon? Normandy has a rich history and is an invitation to go on adventures. Discover the dramatic events that made French history through the American and German cemeteries, the Memorial of Caen, the D-Day beaches and museum and the Batterie de Maisy (old german underground) blockhaus. 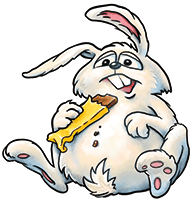 For the gourmets among you, visit Isigny's Milkhouse and savour delicious ice cream and other Norman specialties. Not to be missed: The Cité de la Mer in Cherbourg and the Regional Nature Park of Cotentin and Bessin for nature lovers! Take the time to enjoy some peaceful and relaxed moments in the Norman landscape. Go for a walk on the Pointe du Hoc or to the little village of Sainte-Mère-Eglise, made famous by the Allied landing in the second World War. A large castle suitable for small children. A large inflatable slide of 5 meters. An 8 meter long track with obstacles for the little ones. Gigantic obstacle course of 18 meters with obstacles and slide. Children crawl, climb and slide to get out of the game.